SALEM, Oregon — Oregon is a step closer to a statewide clampdown on plastic straws in restaurants. 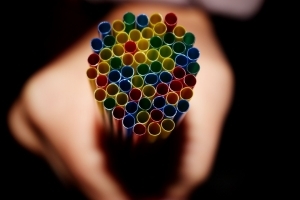 The Oregon Senate has passed a bill that prohibits restaurants from automatically handing out straws, unless customers ask for them. They can still offer them to drive-through customers and convenience stores would also be exempt. State Sen. Michael Dembrow (D-Portland), the sponsor of the bill, said plastic straws can end up in the ocean, threatening wildlife and they often litter beaches. “We use the straw for less than an hour, but it continues for far longer than our lifetime,” Dembrow explained. Several cities, including Portland, have banned them, and some companies are phasing them out. The Oregon Health Authority would issue warnings and fines on the third violation.